Do I need my learners permit prior to enrolling in the program? NO …… we cover preparation and procurement of the learners permit during the classroom phase of our program. Can I combine and week and weekend schedules? Yes – Carolina Trucking Academy will make every effort to customize a schedule to accommodate your personal needs. Do I need a Drug Screen and DOT Physical prior to enrollment? No – Those are done the first day of class and the cost is included in our price. Do I need to complete an application or pay prior to enrolling? No – Once you have decided to attend, just show up on any Monday morning at 7:00AM with NCDL, Social Security Card and payment. Does a criminal record disqualify me from the program? No – Regardless of you background, you will qualify for the training program if you possess a valid NCDL and social security card. 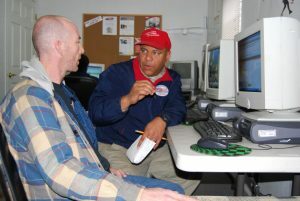 As far as job placement, we work with carriers that will hire ex-offenders. If I already have my learners permit, can I just take the driving phase of the program? N0 – that is not allowed by DMV. As a female, am I a good candidate for the training? Yes – Some of our BEST students are females. As far as job placement, one third of the nation’s drivers are female. Will I have to be away from home for months at a time as a truck driver? No – At Carolina Trucking Academy, we partner with a vast array of carriers that offer local, regional and long haul routes. These options are considered on a case by case basis with the strategy of coming up with the best career path for you. When is payment due? Do you offer a payment plan? Payment is due at time of enrollment. We will accept half of the tuition when you enroll and the remaining half midway the program. What if I have never driven a manual transmission? No Problem. Our team of experienced instructors can have you double clutching before you know it. We have over 16 years of experience in ALL that is CDL training. We have thousands of successful graduates on the road today. Is Carolina Trucking Academy a certified training provider? Yes. Carolina Trucking Academy is a licensed training provider and third party tester certified by the North Carolina Department of Motor vehicles. We have 16 years of good standing with the DMV and all governmental agencies in which we partner. Can I use my VA benefits at Carolina Trucking Academy? Yes. We are a VA ( Veterans Administration ) approved training provider currently accepting qualified applicants under the Post 911 program.